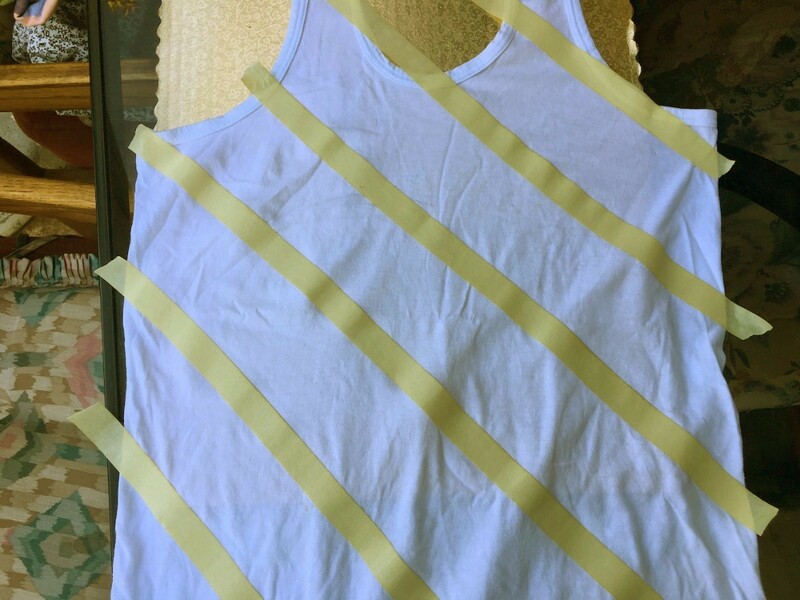 Tape is a great way to make straight lines when dyeing or painting fabric. 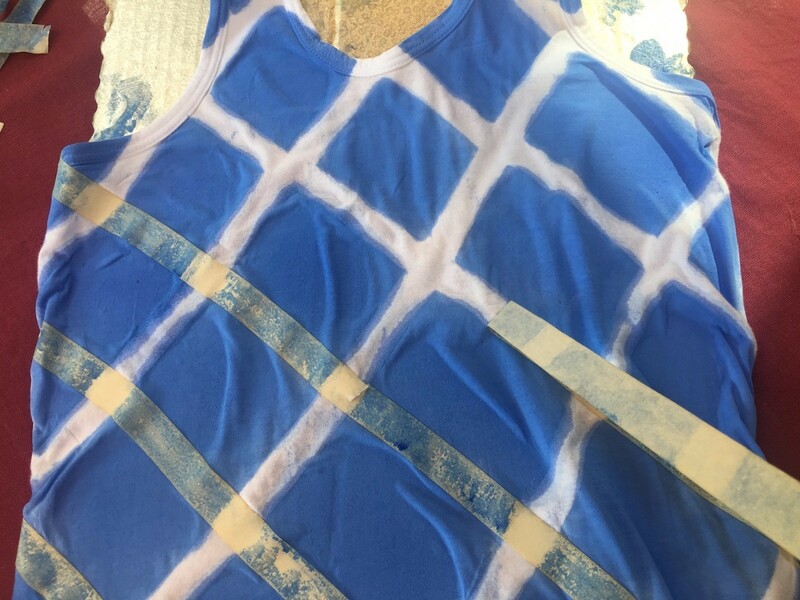 This guide is about using tape to create a pattern for a dyed top. 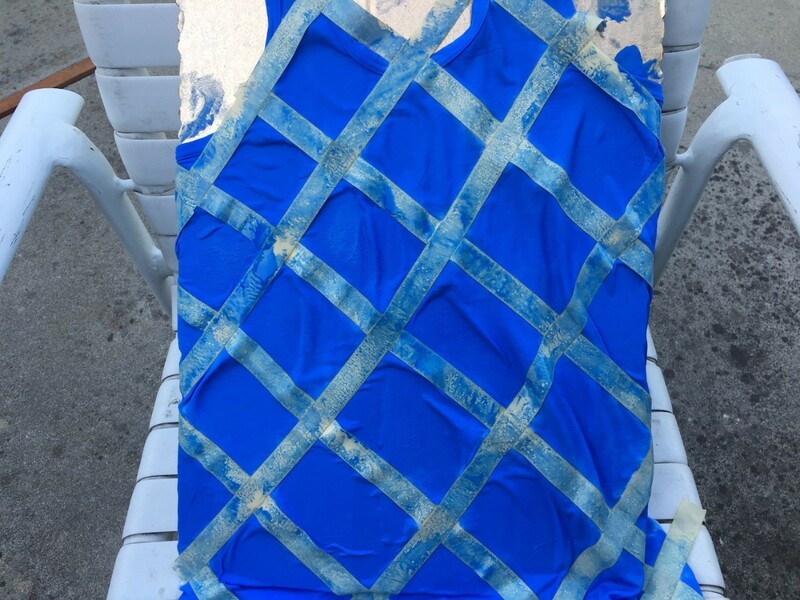 I decided to try this fun tape-dying craft after I spilled something on my top and couldn't fully get the stain out. 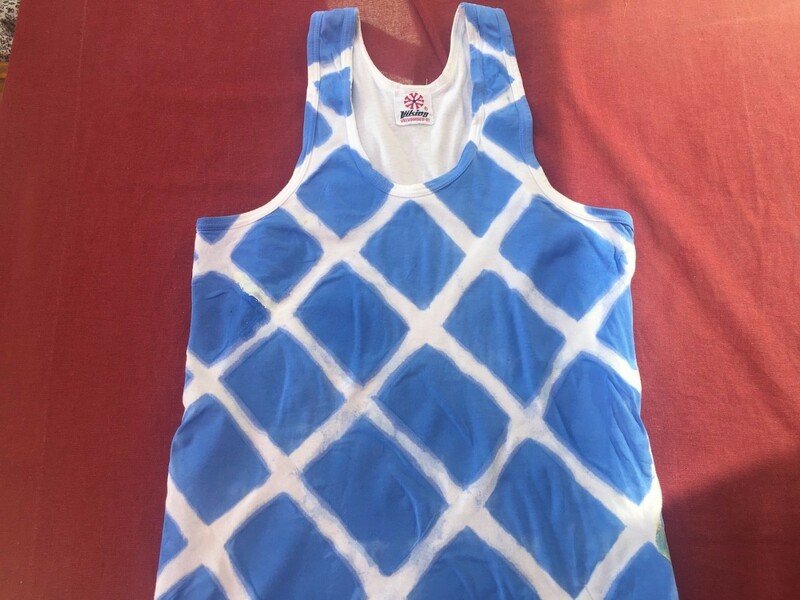 It's one of my best fitting tanks so I didn't want to throw it out! With a bit of tape and fabric paint, I had an afternoon of fun turn into a cute new top. 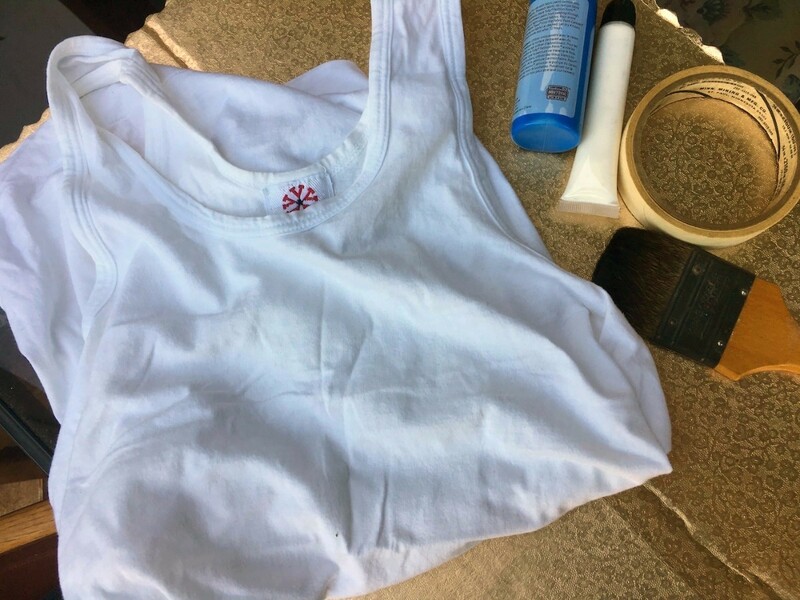 Start by fitting your top onto your piece of cardboard. 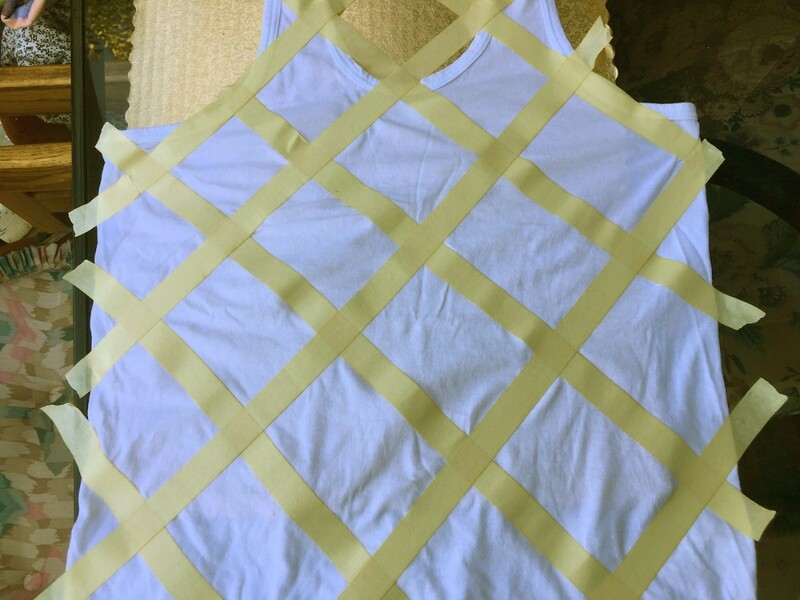 Lay down your masking tape diagonally one way, evenly spaced, starting from the top corner of your shirt. Now criss-cross over the tape the other way. 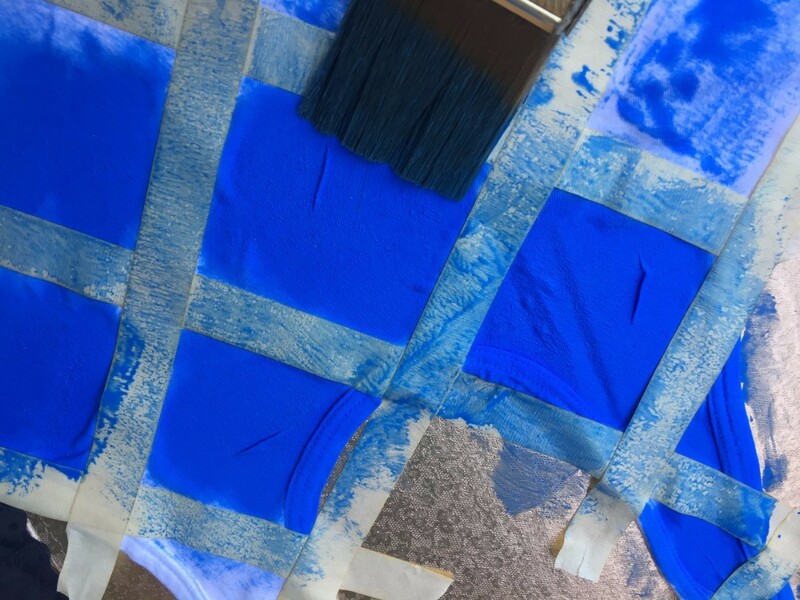 Using very gentle dabbing motions with your brush, paint the bare areas of the shirt, and just over the edges of the tape. Leave your shirt to dry overnight. Peel off the tape strips one by one, starting from the top most layer. 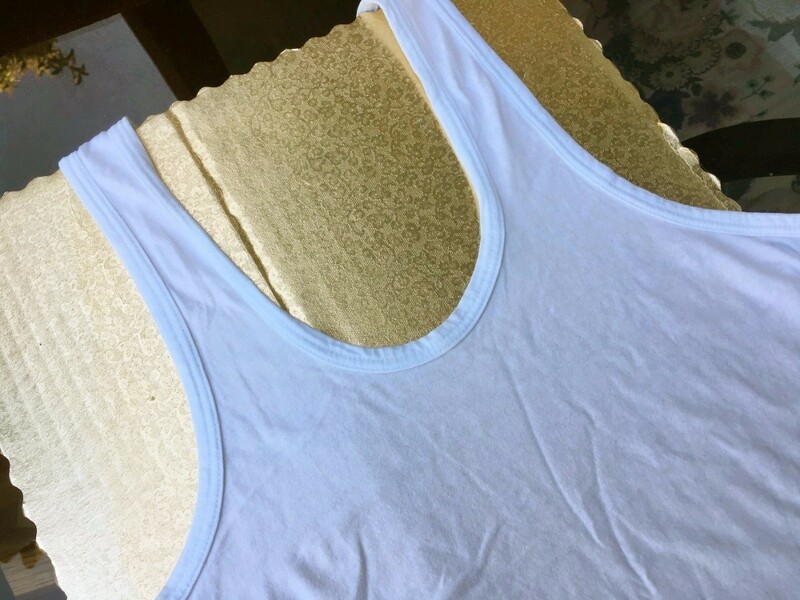 If there are little splashes of unwanted fabric colour, use the white paint to cover them up. 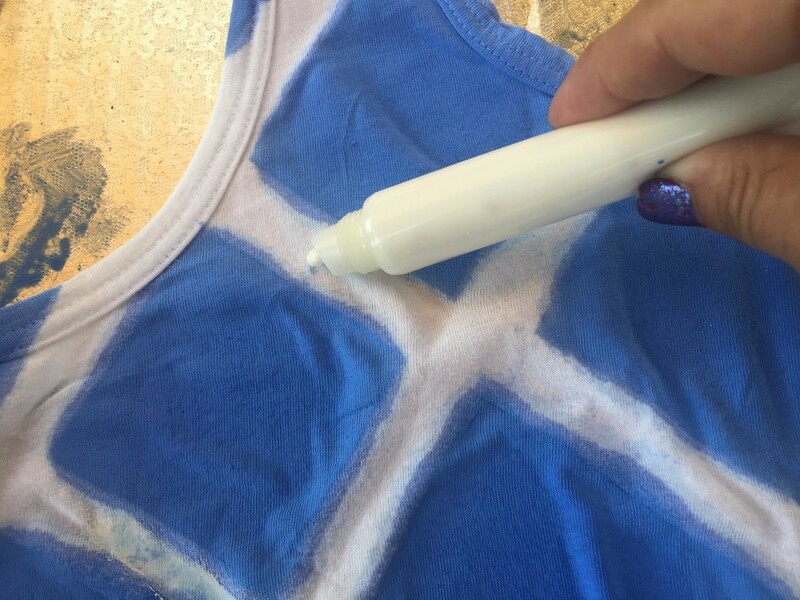 I love this idea thanks for sharing.The kid's are always getting stains great idea to renew an old t-shirt! Oh it's fixed now so I just look like a crazy person ;) YAY! That was a strange error. We did some color correction to some of the photos and those were the ones that showed up in black and white. They should appear normally now.